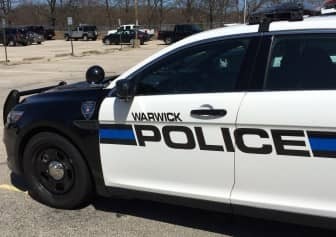 WARWICK, RI — Warwick Police found two 18-year-old men and a juvenile filming a dance video inside the former Aldrich Jr. High building at 789 Post Road Nov. 2 at 5 p.m., arresting them on B&E charges. Officer Thomas Greene was patrolling the area, in the WalMart parking lot, when a woman flagged him down to report she had seen three young people entering the shuttered Aldrich Jr. High building across the street using the back door, according to the officer’s report. When Greene drove to the back of the former school, he spotted a back door held ajar by by a piece of plastic. He also spotted a pair of teens walking behind the school, and detained them to ask why they were there. The 18-year-old and 17-year-old said they were at the school to meet friends, the officer reported. Greene called additional officers to assist. Officers Jonathan Reiff and Quentin Tavares responded, and Reiff stayed with the teens while the other two searched the building, according to the report. Inside, the officers found numerous fire extinguishers on the ground, and took the stairs to the second floor, spotting a few people in the southern hallway talking as they headed toward the front of the building. The officers followed them downstairs to the front of the theater, where they detained three people, according to the report. The officers walked the three out of the building. They were identified as a juvenile, Dariel Arias, 18, of 34 Lecia Drive, Providence, and Foster Hazziez, 18, of 460 Charles St., Apt. 513, Providence. The two told the officers they were in the building to film a dance video, and believed it was an appropriate spot because it had been abandoned, according to Greene’s report. 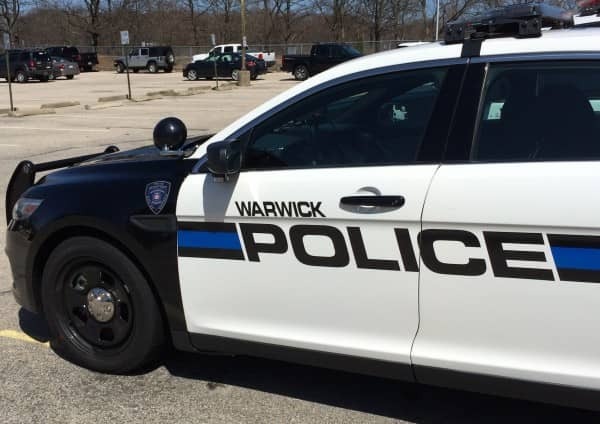 The men were transported to Warwick Police headquarters, 99 Veterans Memorial Drive, and charged with breaking and entering a building for ship during the daytime. The juvenile was released to their mother.